There's nothing like Disney when it comes to going big. We were so excited to hear that Disney on Ice was back in our neck of the woods. The girls have gotten to attend these shows for three years straight now, and every year it's an amazing treat. 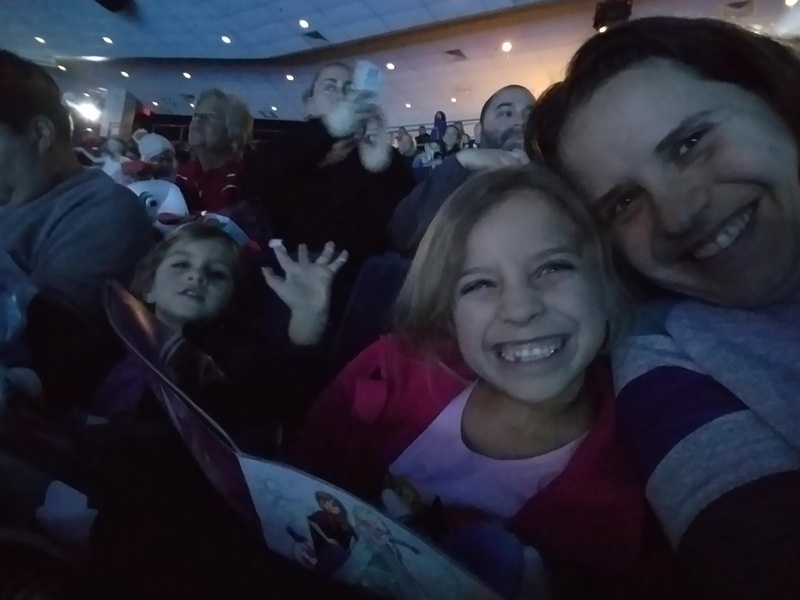 We've seen the Treasure Trove, and the Celebrations that Disney on Ice had to offer, and this year, the girls were in heaven, because the show we saw was Dream Big. We were provided with tickets for the purpose of providing an accurate review. Our experience is, of course, authentically ours. The girls were bursting with excitement, as usual, as we made our way to the arena in Bridgeport. I love this particular arena because parking is easy and affordable (we found space in the garage without a problem for a flat $10), and it's easy to get in and out without dealing with city traffic. Every time we enter, we know that Disney World itself will take a lot of preparation and budgeting, because the concessions are eye catching and tempting. Everything is dressed in Disney magic, from the popcorn to the cotton candy, to the snowcones (yes, it's January. But, you know, ice.) At first, it's hard to swallow the thought of a $15 snack, but everything comes with a souvenir. Cotton candy with a take home crown or Olaf hat is a treat in multiple ways. We always tell the girls we will give in once. This time, they both opted for cotton candy, and they were so happy with the hats they didn't beg for anything else. Naturally, there are ample options if you are looking for other souvenirs, and judging by the amount of light up spinning wands and toys, plenty of people did partake. 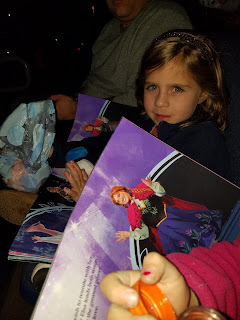 The girls are starting to get used to being at shows, and we had the opportunity to get programs this time. I'd never put too much thought into them, but they adored looking through them. It gave them a general idea of what to expect, and just helped the excitement to build. But when the show starts is when the magic really happens, and this show was exceptional. Eight princesses, helped along by Tinkerbell, with occasional check ins from Mickey and Minnie featured the most empowering moments of eight Disney Princesses - Jasmine, Snow White, Belle, Rapunzel and Ariel filled the first half of the show, and Aurora, Cinderella, and Tiana were in the second half - finished with a full production of Frozen, from the opening of the gates to Anna's sacrifice and the return of summer to Arundell. 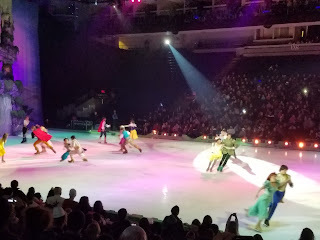 This was clearly a crowd favorite - both Anna's and Elsa's featured skate solo performances to their big songs were accompanied by a full audience of singers. What I loved about this particular show was, though most princesses did have some time to show off some pretty fantastic pairs skating with her respective prince, and even those who didn't showed up partnered for the big finale, the overarching theme was the moments of strength and adventure. As a theater person, I'm a big fan of the production number, and this show was full of them. Big scenes with plenty of skaters weaving, dancing, and doing tricks generated a feeling over fun and adventure, rather than simply showing the longing and happily ever afters the princesses are stereotyped with. That can be tough with some of the old school princesses, but seeing Maleficent's full dragon transformation, complete with lighting the ice on fire, the dwarf characters cavorting, and Cinderella's carriage rolling seamlessly, reminded us that, for their era, these were some pretty daring girls in their own way. What did the girls take away? The truly talented skaters performing some amazing pairs - and solo - routines. The snowfall that stayed steady through the Frozen story. Cinderella's truly fabulous sparkling skates. Eight skaters traveling as a team to form the dragon that Prince Philip bravely fought. Skaters "flying" from the balcony and landing, perfectly, on their skates. Tinkerbell showering the ice with pixie dust. Watching Olaf melt and lose his head, Anna "freeze", and Elsa transform, live, and right before their eyes. And most importantly, seeing every skater remember to interact with every princess and hero in the audience. As an adult, it's easy to think that we "get it". We're too smart for the magic, we've seen it all before, we know the stories too well. 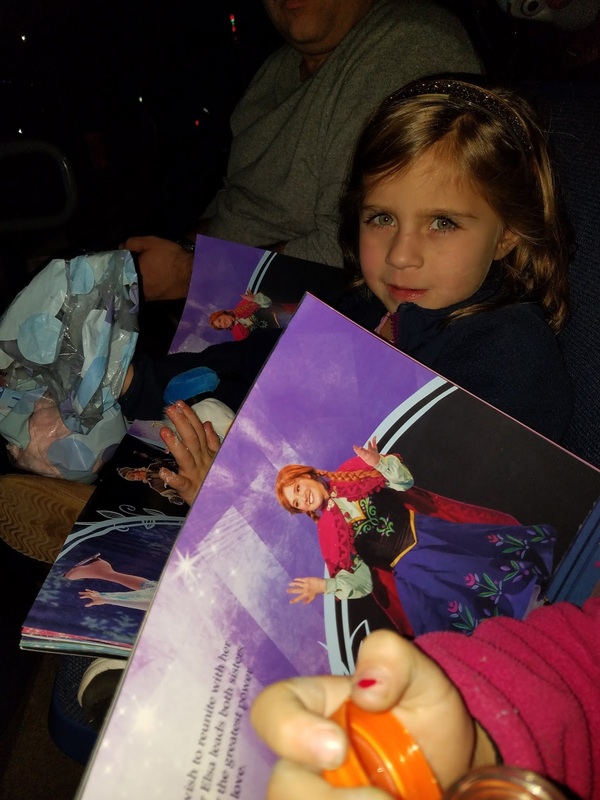 But watching all those dressed up kids lose their minds over Elsa and Anna, giggle over Sebastian and Flounder, squeal and gasp over every lift and toss and jump, sing along to their favorite songs, and become truly swept up in the magic of Disney and a live performance, is worth it, no matter how many times you go. If you're local to CT, Disney on Ice is performing at the Webster Bank Arena from January 5-8 and at the XL Center in Hartford from January 12-16. 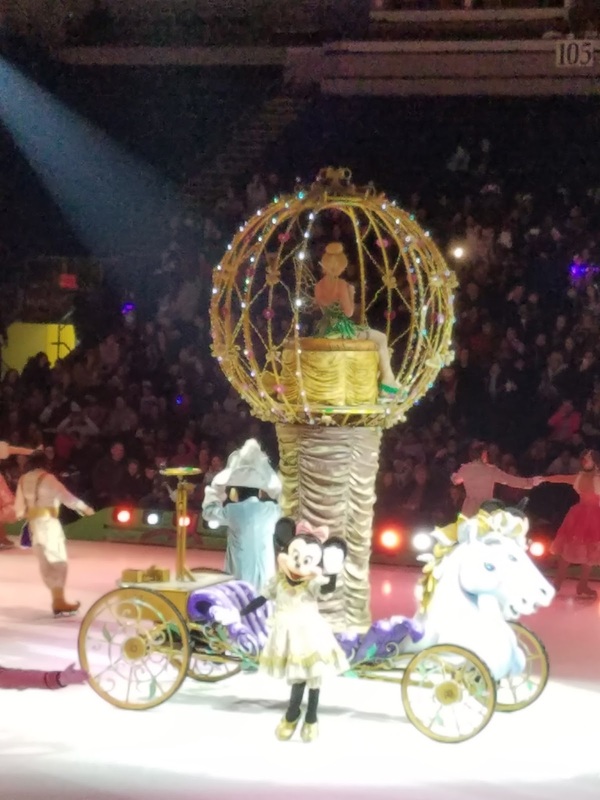 Tickets for Disney on Ice Present Dream Big are available in Bridgeport by calling Ticketmaster at 1-800-745-3000, ticketmaster.com or in person at the Webster Bank Arena CLICK IT or TICKET Box Office or Hartford at XLcenter.com or by visiting the XL Center Box Office. All seats are reserved. Restrictions and fees may apply. Ticket pricing is subject to change based on market demand.